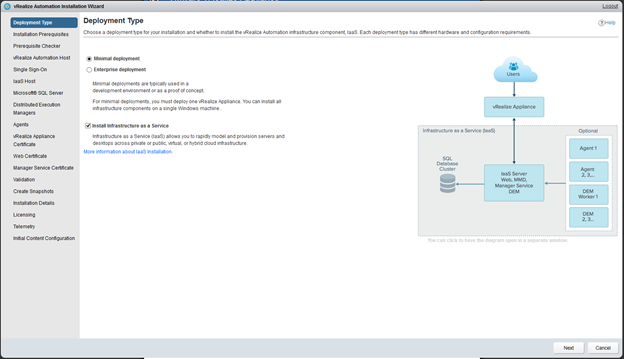 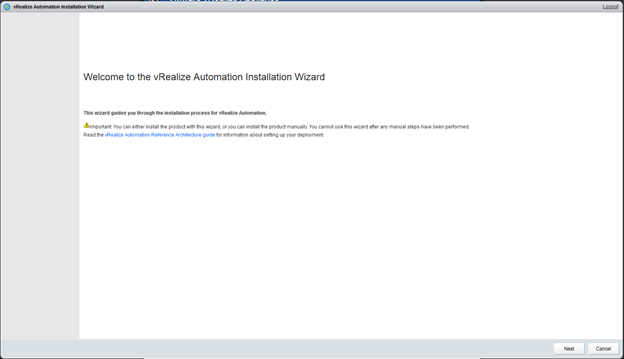 The Following guide will show you how to install vRealize Automation 7 in minimal deployment mode. 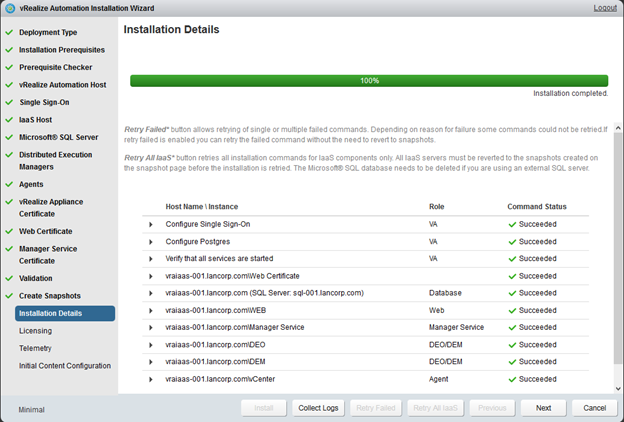 The guide also walks you through how to configure SQL Server and other prerequisites. 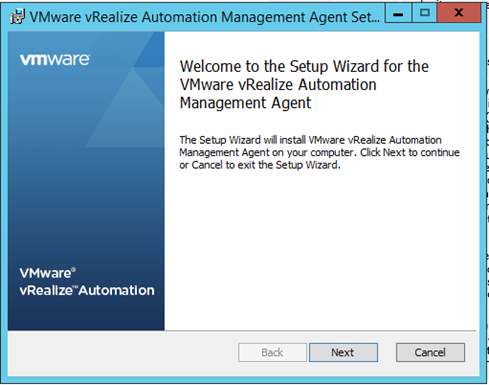 To prepare for installation of the vRealize Automation Center server virtual machine you must first build a Windows Server with the following Prerequisites. 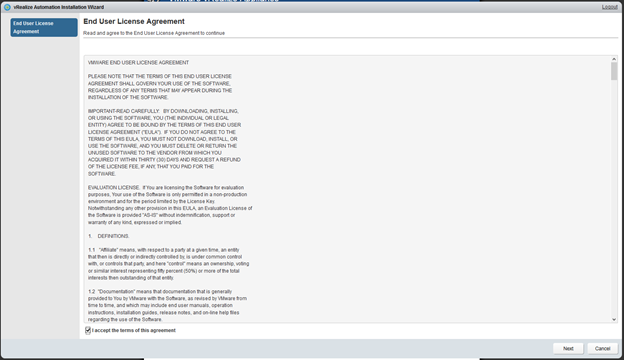 30GB disk space or more. 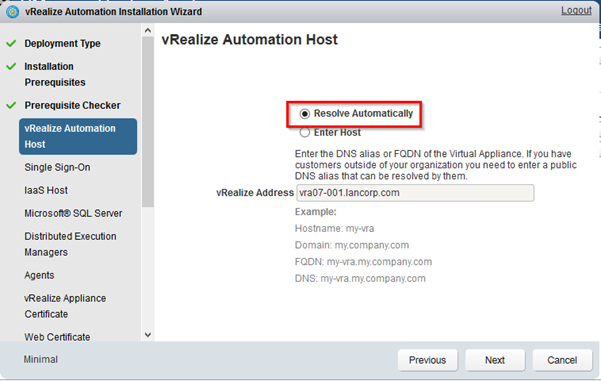 VMware recommends creating a separate partition for use by the virtual machine. 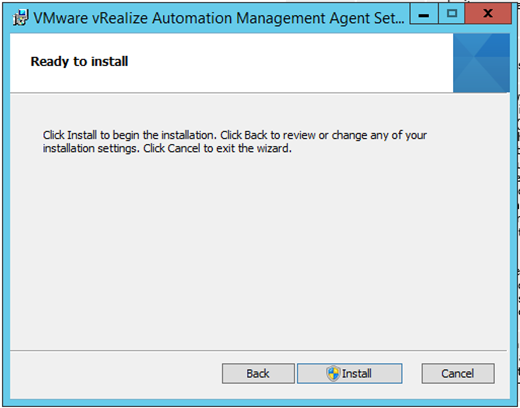 Windows Server 2012 R2 virtual machine, with the most current updates. 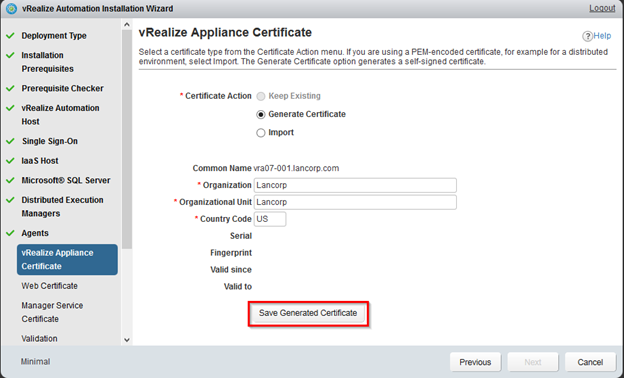 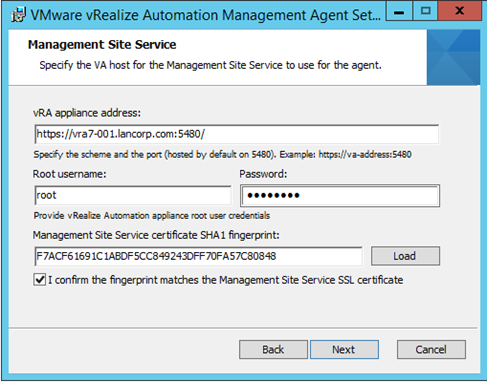 Verify that the vRealize Automation Center Server is joined to a domain. 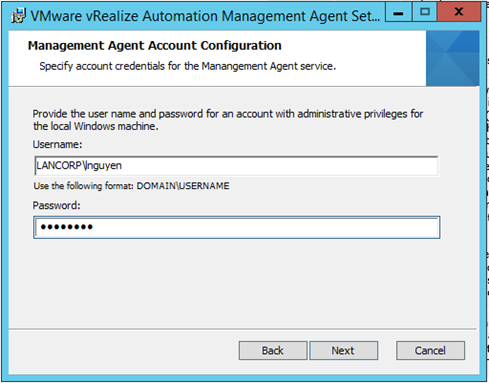 Create a domain user account (for example, vrasrvacc) in Active Directory. 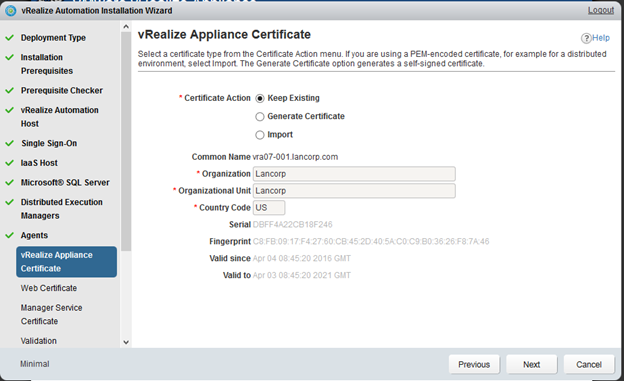 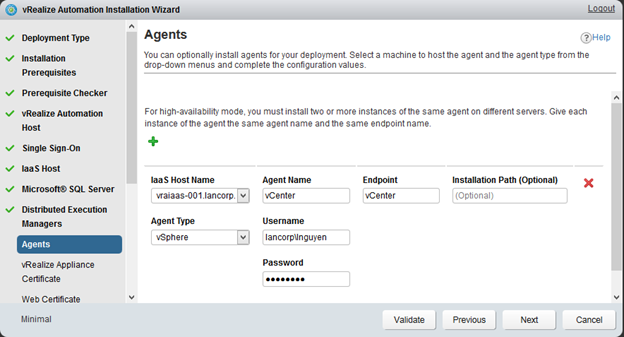 Log in to the vRealize Automation Center Server as administrator. 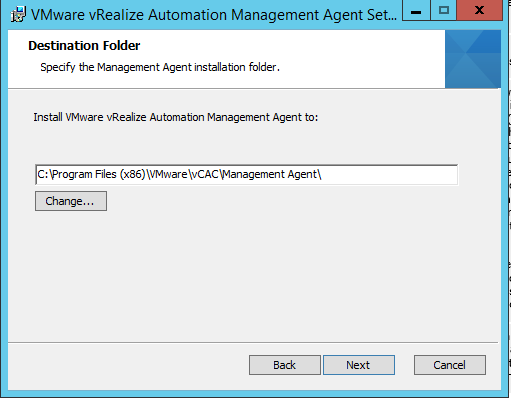 Add the vrasrvacc account to the local administrators group. 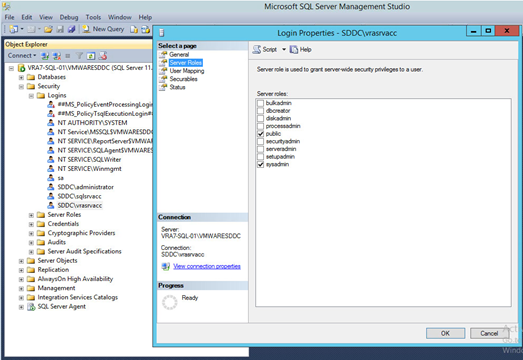 Log in to the Microsoft SQL server with local administrator privileges. 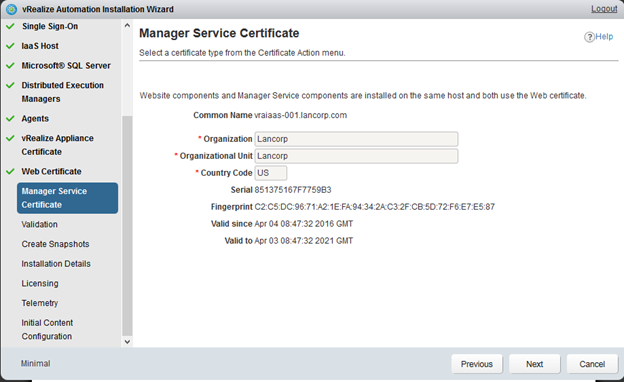 Open Component Services from Administrative Tools. 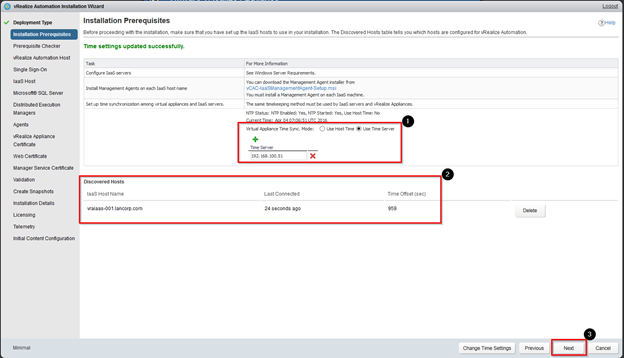 Right-click Local DTC and select Properties. 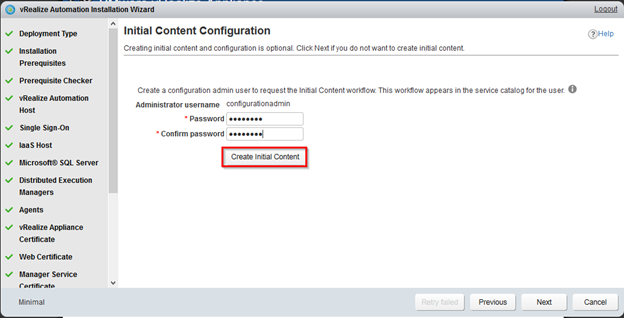 Select Allow Inbound and Allows Outbound. 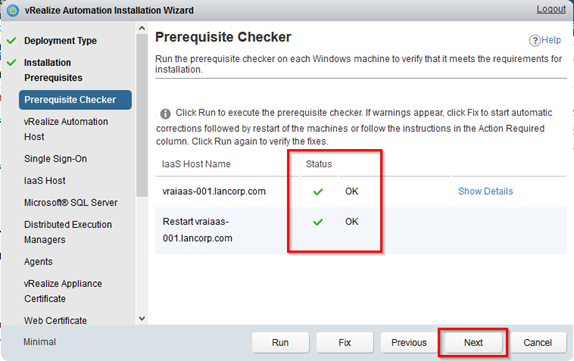 In the warning message dialog box stating that the MSDTC service will be stopped and restarted, click Yes. 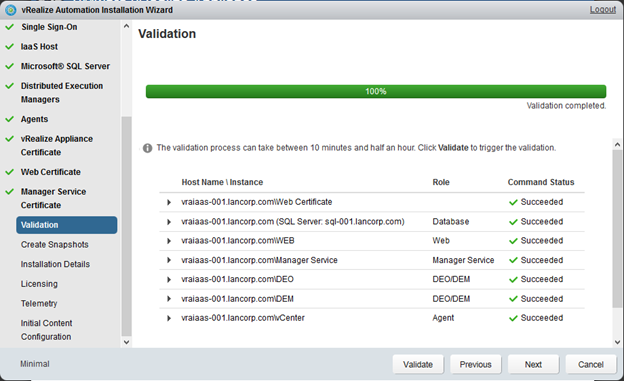 Click OK in the MSDTC service has been restarted dialog box. 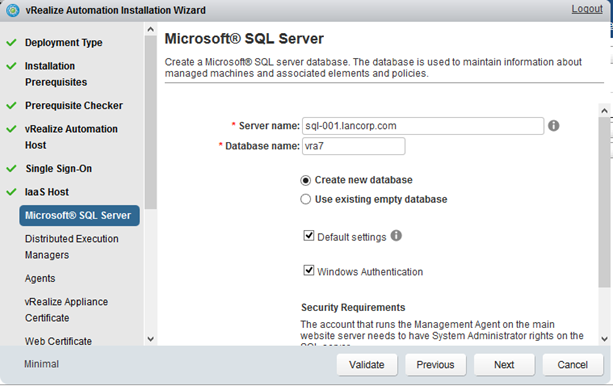 For Sql 2008: Click Start > Microsoft SQL Server 2008 R2. 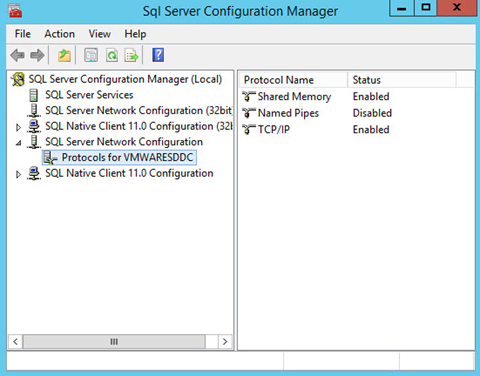 Select SQL Server Network Configuration. 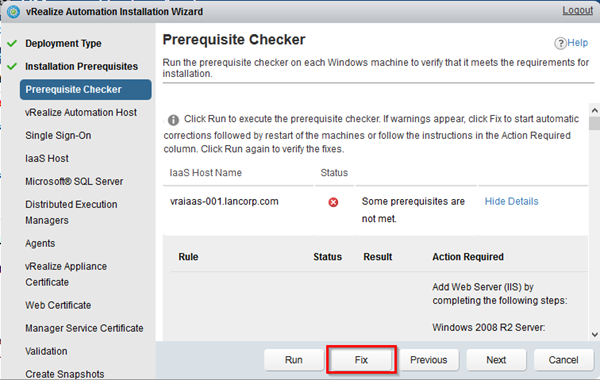 Right-click TCP/IP and select Enable (if it is not already enabled). 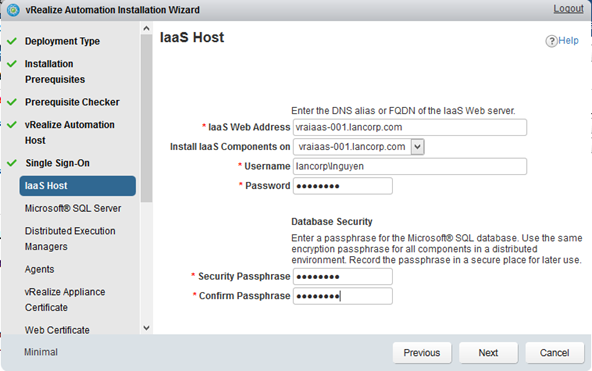 On the Connect to Server screen, type the SQL Administrator credentials and click Connect. 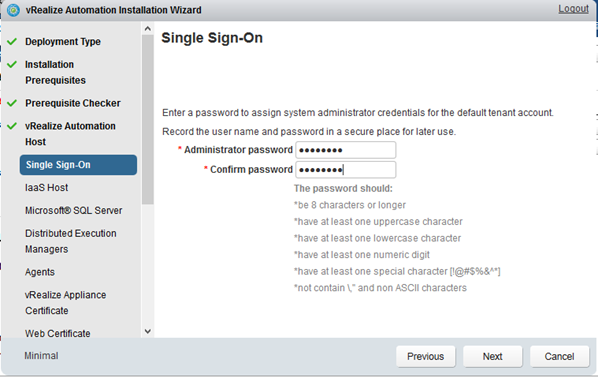 Add the vrasrvacc account to the logins. 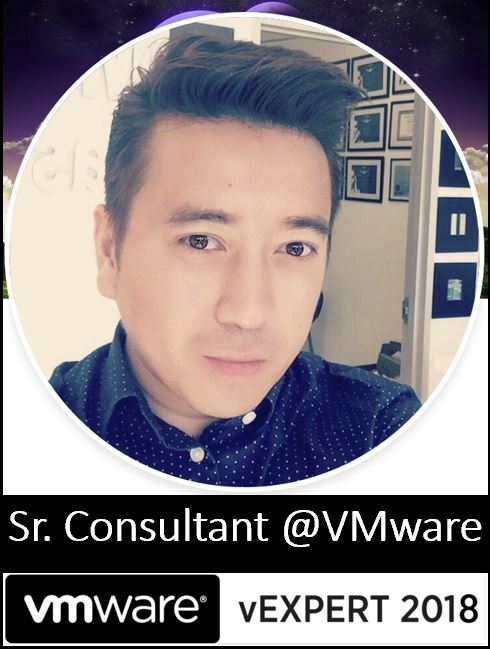 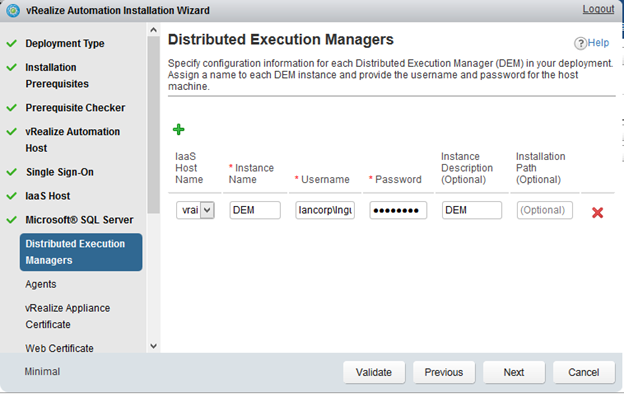 Add the vrasrvacc account to the sysadmin role so that it can create the database and alter its size. 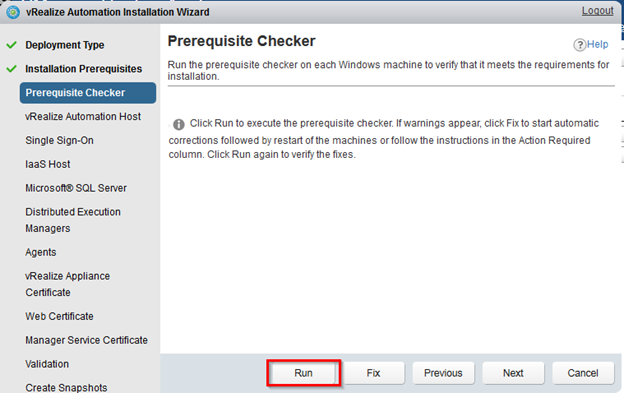 If you are using SQL Server Express, set the SQL Server Browsing service to automatic, and start it. 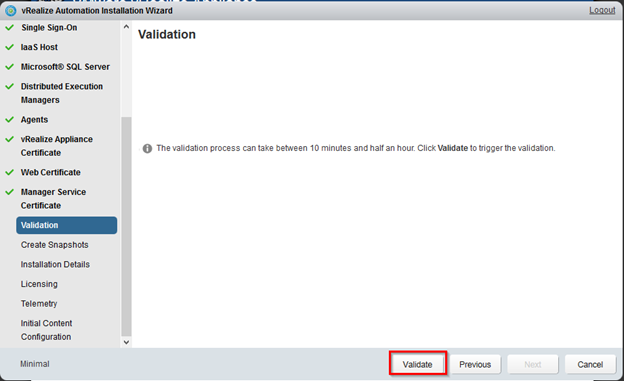 Enter your SQL server information and click on validate when completed. 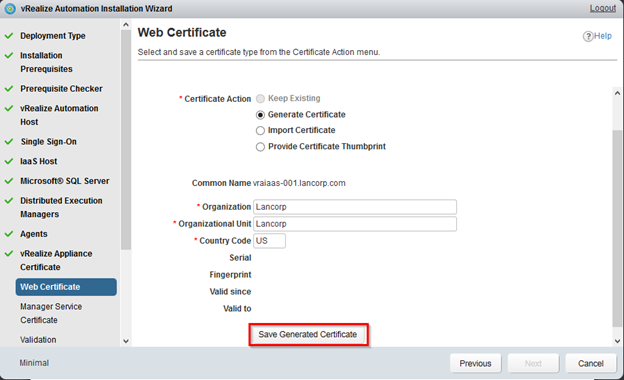 Click on Next if the connection to SQL is validated. 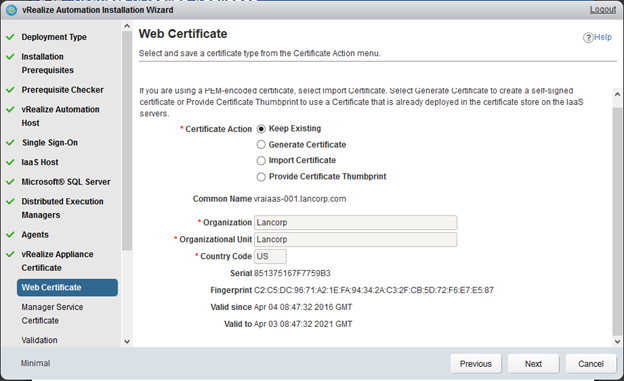 Repeat the same process for the Web Certificate. 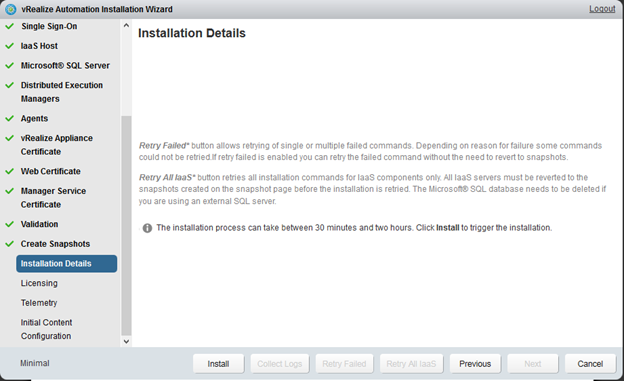 Now is a good time to take a snapshot before we start the install of vRA. 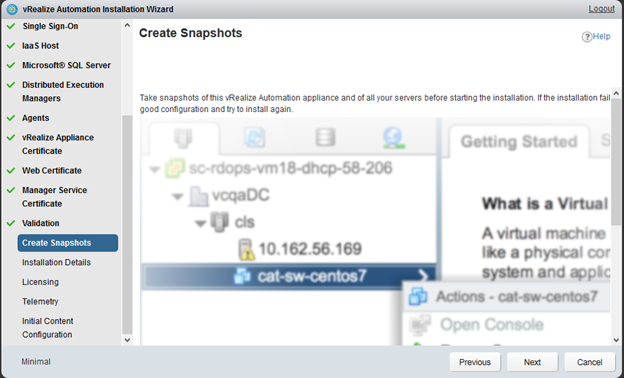 Click on Next when snapshot is completed. 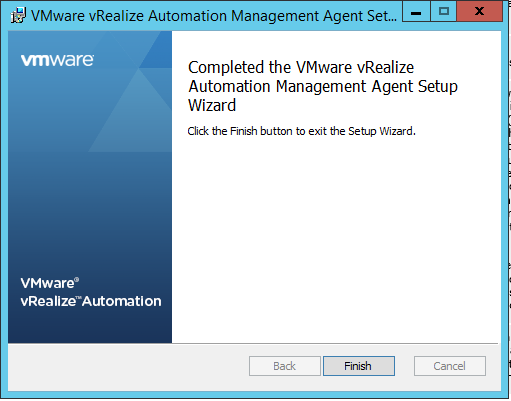 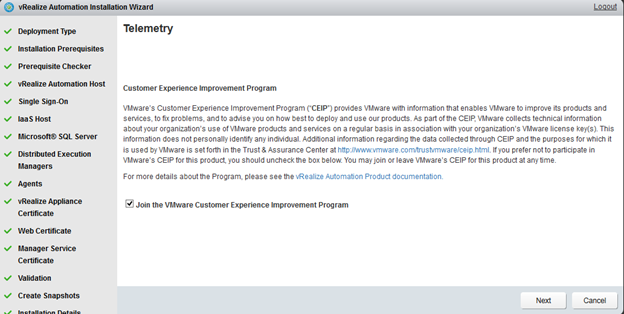 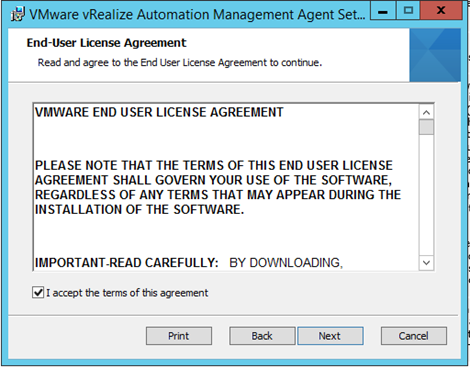 Click on Install to start the installation of vRA. 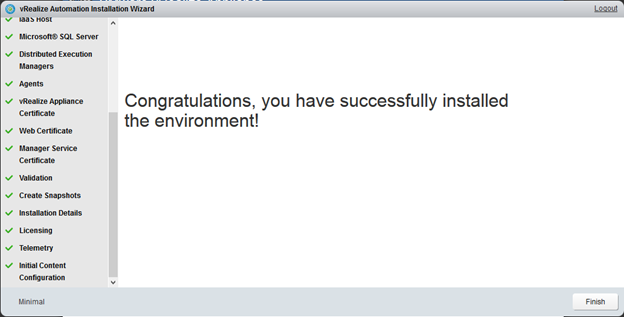 Enter the License Key and click on Next.